If a budget is truly a statement of beliefs, then the City of Houston has just learned a lot about its new Chief Executive. Delivering on a promise made just a months earlier, Houston Mayor Sylvester Turner has shepherded a 2016 municipal budget through City Council, and its been done in what appears to be record time. The goal was to send a strong message to citizens, the business community and credit agencies that Houston is ‘taking care of business’. After the difficulties of last year’s election with the defeat of the Houston Equal Rights Ordinance, this message is definitely needed. 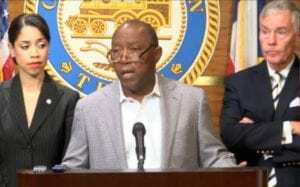 Mayor Sylvester Turner achieved his goal of securing unanimous passage of his first general fund budget Wednesday morning, a month ahead of the typical schedule and after an unusually brief and uncontentious discussion of council members’ proposed changes. The $2.3 billion general fund budget, which pays for most basic city services with revenues from taxes and fees, represents only the second budget cut for Houston in two decades. The first came after the 2008 nationwide financial crisis. Formerly a long and arduous process under previous administrations, the City Council’s annual budget meeting even ended in time for lunch. For comparison, last year’s budget meeting (fueled by in part election year politics) took about 14 hours. But just because the work was fast doesn’t mean it was easy. If the budget is truly a set of beliefs, then it is clear Mayor Sylvester Turner believes in the principle of shared sacrifice. Every area of city services will experience fun reductions, including City Council offices and the Mayor’s administration. There are also approximately 40 planned layoffs, attrition and cuts to other positions. The resultant savings of all of this difficulty? An estimated $82 million. Thankfully for Houstonians, these cuts are not the end of the story. As promised, Mayor Turner and city leaders have also been working overtime to find creative solutions for the city’s needs. Infrastructure investment will continue thanks to unused funds from METRO which will now be allocated for district street repairs. 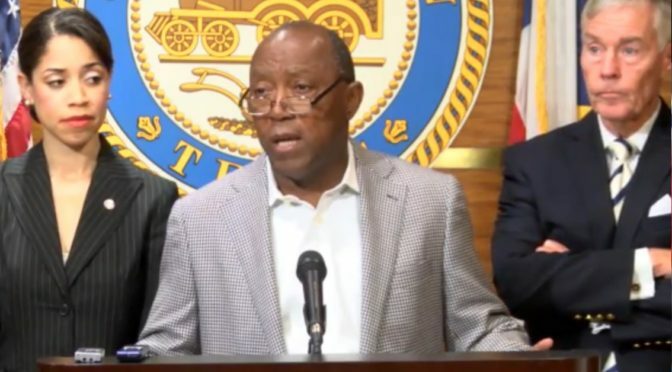 In the wake of devastating floods which could have easily derailed any budget plan, the Mayor created the Greater Houston Storm Relief Fund to help create resources for those affected. Turner has even went further than ever before to engage and connect the business community to Houston’s greatest resource through the Hire Houston Youth program. All this has been accomplished with less than 6 months in office for the new administration. Let’s hope this spirit of cooperation and good governance can continue. If so, Houston will get through the lean times, and hopefully have great things ahead. As Off The Kuff points out, this truly was “an easy budget” compared to next year. Turner’s next great task lies in trying to solve the city’s pension woes.